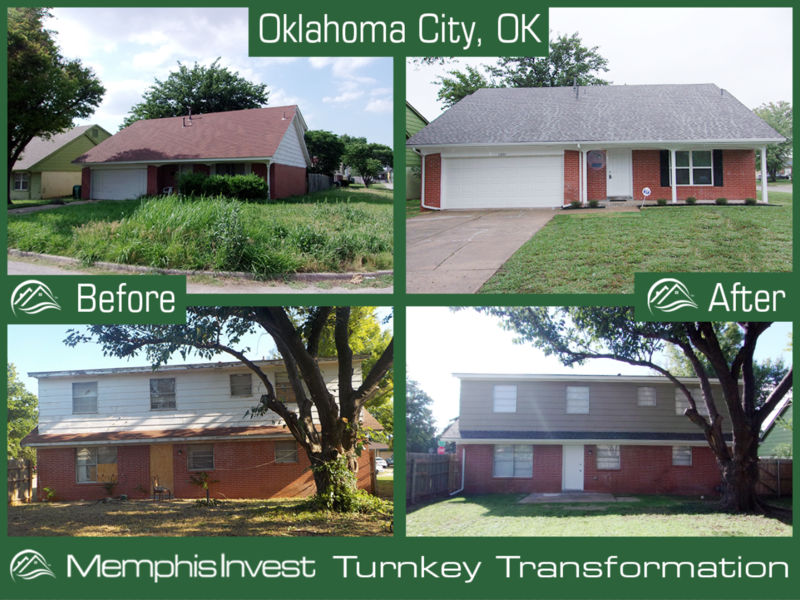 We're in Oklahoma this week for 'Transformation Tuesday', and we've got a house that received a major facelift, inside and out! This property is situated on a corner lot, providing a nice, large yard for residents, but it had unfortunately become unattractive and overgrown. See how a little bit of landscaping, and a LOT of work on the interior, brought this 4 bedroom, 3 bath home back to life! Many times the homes we purchase need a bit of polish, some elbow grease, nothing terribly major. 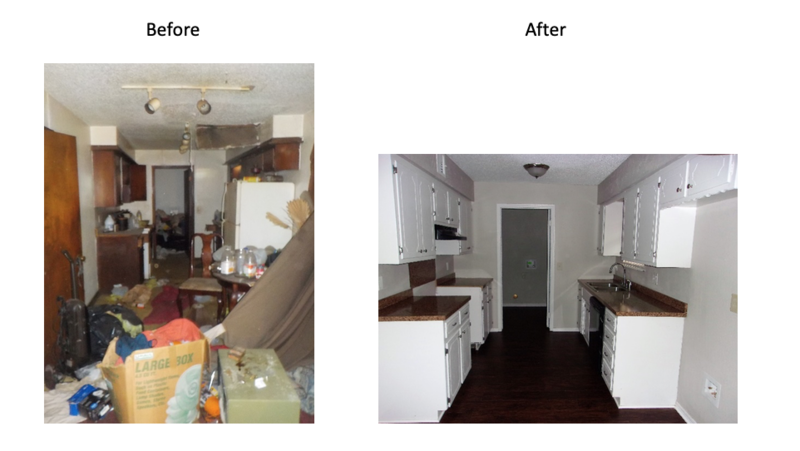 This is a house that needed a little bit more attention, since it's got more rooms than our standard 3 bed, 2 bath property. That means some extra fixtures to account for, and a maybe a little bit more in labor costs as well. This corner lot property also has a somewhat larger lawn than the usual home, so landscaping was an absolute must! 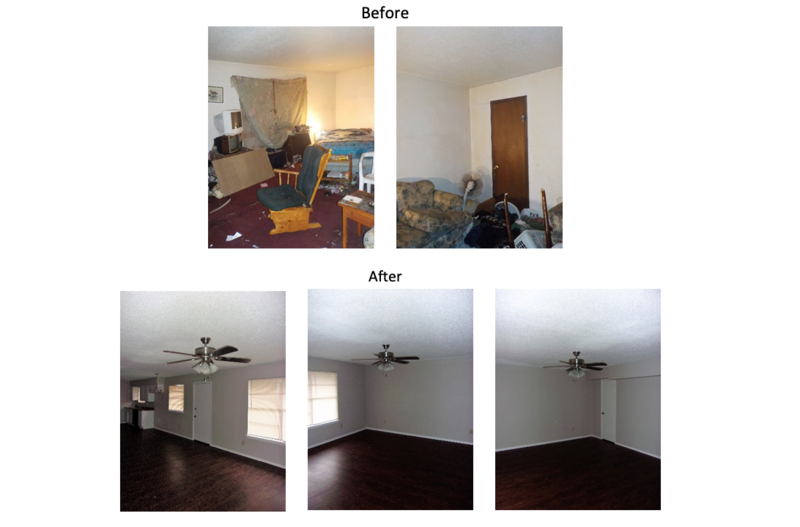 After 4 months, and a lot of upgrades, this house was transformed from the eye soar of the neighborhood, to a home to be proud of! 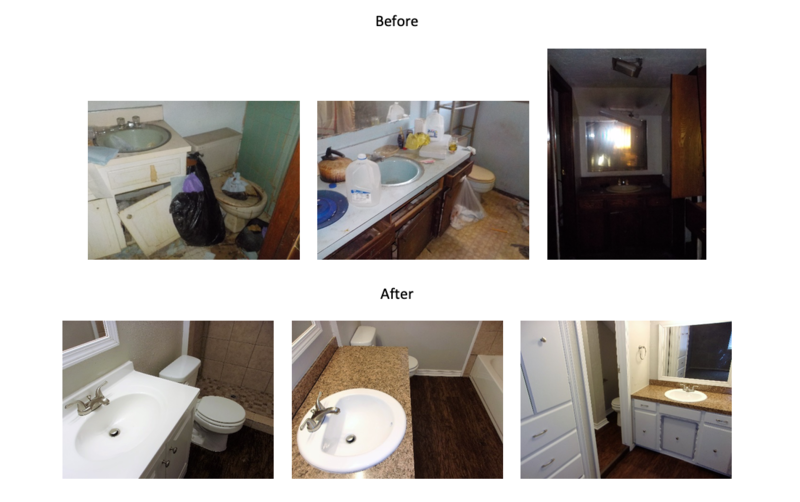 Our team of vendors and project managers were able to take care of all the renovations with a $61,000 budget, making sure all necessary items were addressed, and that this will be a solid investment for many years to come. 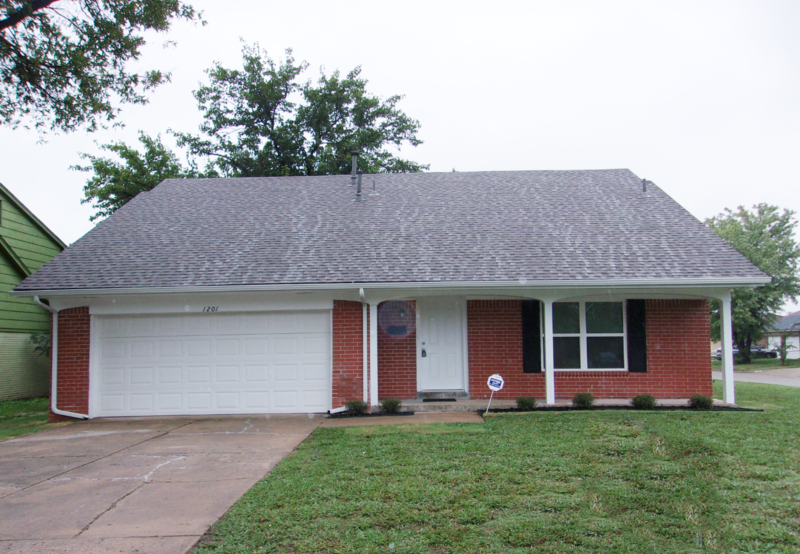 The buyers of this OKC home found Memphis Invest about a year ago, and have since bought 7 properties with us! This is a fabulous testimony to the trust we have with our clients, but also the growth that owners can achieve with us too. As our company grows, your potential and portfolio have the opportunity to expand as well! For all seven of their properties, our clients used self directed IRA's as their purchase method. If you're unfamiliar with this term, I suggest you read a previous post we did so that you can better understand the benefits of SD-IRA's. 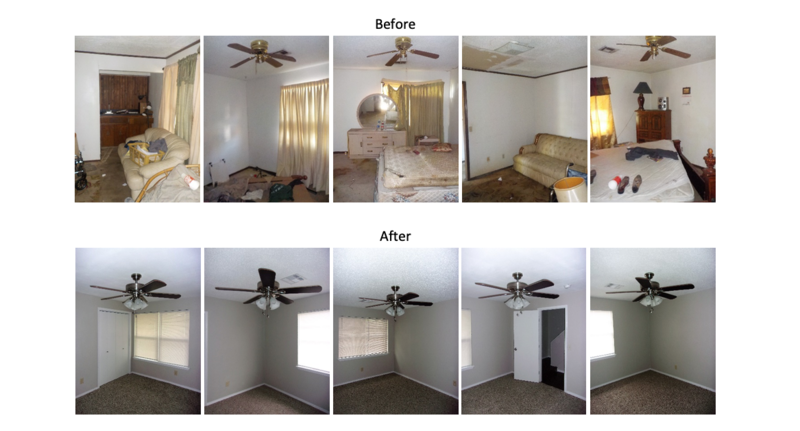 The owner of this Turnkey Transformation is from California. This is the investor's SEVENTH property with us, and they found Memphis Invest through Fortune Builders, a company that offers real estate investment coaching and training. Let us know what you think in the comments, we'd love to get your feedback!